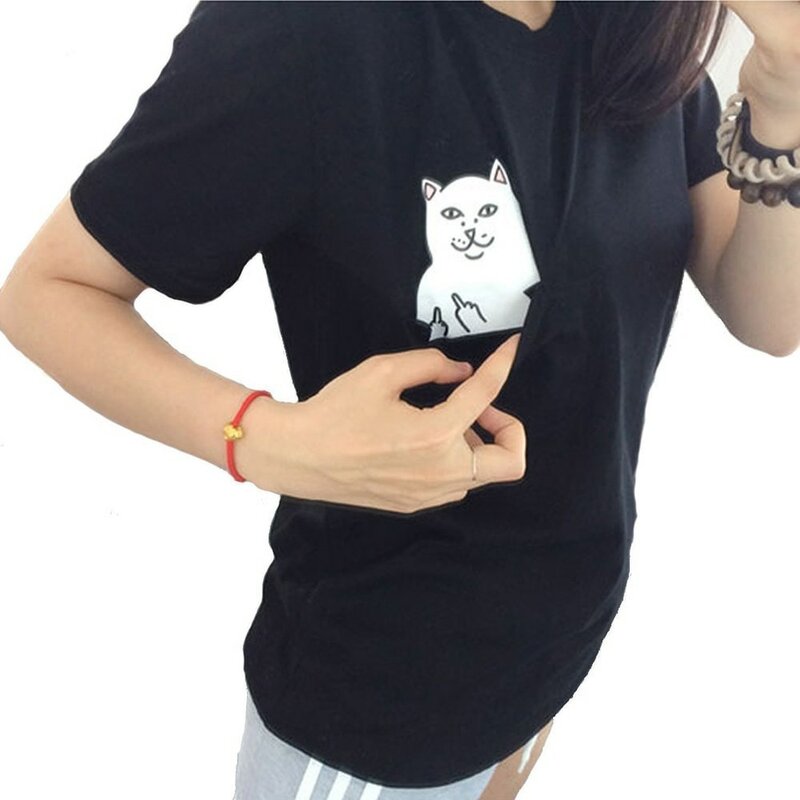 Cozy, adorable and entertaining all in one, this Middle Finger Cat Pocket T-Shirt is a great gift if you want to make someone laugh! Made of a high-quality cotton blend, this tee is extremely soft and comfortable. If you’re having a bad day or just don’t want to be bothered, you can now let the world know how you feel without needing to say a single word.